A Tender Voyage is the first full-length study of the history of childhood and children's lives in late imperial China. 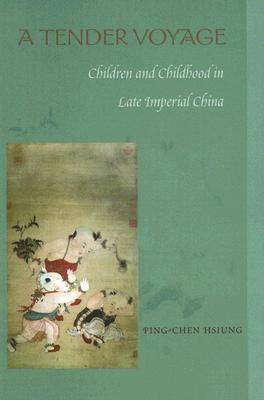 The author draws on an extraordinary range of sources to analyze both the normative concept of childhood-literary and philosophical-and the treatment and experience of children in China.The study begins with the history of pediatrics and newborn care and their evolution over time. The author moves on to the social environment of the child, including models of upbringing and expected behavior and the treatment of different kinds of children, including the rebellious and the "gentle" child. She examines the role of the mother, notably her close and complex relations with her sons, and the broader emotional world of children, their relationships with the adults around them, and the destructive power of death. The last section discusses concepts of childhood in China and the West.Throughout, the study keeps in view the issue of representation versus practice, the role of memory, and the importance of listening for what is not said.